Tla-o-qui-aht First Nation Chief Treaty Negotiator Francis Frank. 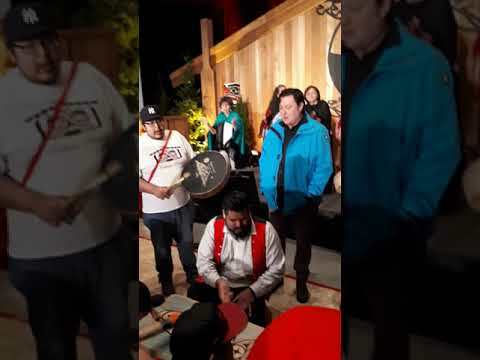 For the second time since treaty negotiations began in 1993 the Tla-o-qui-aht First Nation has voted against an Agreement-in-Principle; this time it was one of the final stages of their Incremental Treaty Agreement (ITA). Beginning Nov. 24, an electoral officer travelled to Seattle, Vancouver, Victoria, Nanaimo and Port Alberni where polling stations were set up to provide TFN members in those areas a place to vote. On Nov. 30, the final polling station was set up at Tofino and later that night the voting results were released. According to the nation’s Chief Negotiator Francis Frank, a total of 752 people were eligible to vote. Total ballots cast were 269. There were 113 votes in favor of the AIP and 154 against. There were two spoiled ballots. On Friday, Dec. 14, Frank said via email that Tla-o-qui-aht was not yet ready to speculate on why the AIP was voted down. Part of the next steps the nation is working towards is finding out why the AIP was deemed unacceptable. This work is not going to take place until the New Year, Frank said. "While the Negotiation Steering Committee accepts the decision of the TFN members, we are very disappointed with this setback," read a statement by Frank sent to Ha-Shilth-Sa Dec. 14. "We do not believe our community has rejected treaty making as the basis for reconciliation with Canada and BC. There is no doubt that the rejection of the AIP will have implications for the community, which we will need to explain. We are taking steps to ensure our community members understand what the vote results mean." Frank said a meeting was held Dec. 10 with the Ha’wiih (traditional leadership) and the steering committee at which the vote results and repercussions of the vote were core to the discussions. Frank said nothing definitive regarding "next steps" had been decided. The hawiih, elected council and general members would need to have more discussion. Shortly before the AIP voting took place, the province of British Columbia showed its support for the TFN Incremental Treaty by announcing $700,000 in funding and an accelerated land transfer to the first nation that would allow for economic development activities. On Nov. 15, Aboriginal Relations and Reconciliation Minister Ida Chong announced $500,000 of the funding would support the construction of TFN’s Haa-ak-suuk Creek Hydropower project and the other $200,000 would go toward capacity funding, ‘the final payment of $600,000 associated with the ITA,’ said the ministry. The minister and TFN leadership signed a document Nov. 16 agreeing to extend and amend the ITA. The amended ITA would allow the accelerated transfer of 12.1 hectares of land from the District of Tofino to Tla-o-qui-aht. The parcel of land is located in the vicinity of Tin Wis Best Western Resort, which is owned and operated by TFN. The parcel of land is to be used to support TFN’s economic development and tourism activities. Under the old ITA signed in 2008, the land would not have been transferred until TFN and the federal government initialed a final treaty. "As a first step, the Negotiations Steering Comittee will be requesting that while internal community work continues, governments delay any decision to alter the land protections in place on the Treaty Settlement Lands in the AIP associated with land alienation, new forestry tenutres and new mining tenures," reads the emailed release. On Nov. 22 Tla-o-qui-aht Ha’wiih invited their people to a unity dinner at the Tin Wis Conference Center. They made it clear they wanted no speeches and presentations. It would be a night free of politics.